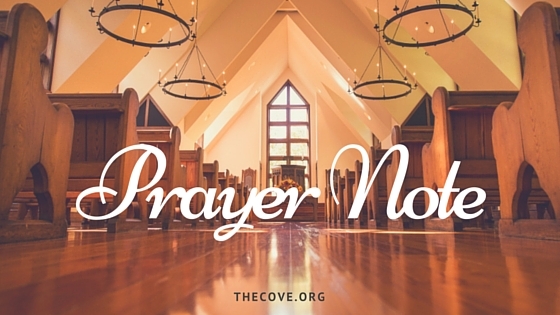 Prayer is our direct pathway to the throne of God; the avenue by which we share with Him our deepest thoughts, needs, desires, and challenges. It is, in short, a way to make ourselves known before the heavens. But the Scriptures frequently remind us that we are already known before we utter a single word in prayer. Let’s consider the prayers of Hannah, the barren wife of Elkanah who prayed so intensely for a child. After intense prayers in the sanctuary at Shiloh and finding herself pregnant with Samuel, Hannah knew she must return her son to God after he was weaned. And that’s exactly what she did. 1 Samuel 2 records Hannah’s prayer on the day she presented Samuel to Eli, the Priest. Her prayer is passionate and thoughtful, while acknowledging God’s omniscience. While Hannah’s journey through infertility and a troublesome polygamous marriage caused emotional hardship, she never lost sight of the fact that God knew her intimately; and consequently, she prayed powerfully, as one who is known. I can’t help but wonder how our prayer lives might change if we approached prayer with the deep conviction that God sincerely knows us and loves us despite the ugliest parts of our hearts. Would we pray with more intensity like Hannah? Would we boldly ask for the impossible, confess the spiteful, proclaim the joyful, and give gratitude for the painful? Would we beg the Lord for greater passion and cry out for deeper obedience if we believed we are deeply known? If we regularly believed, on an entirely deeper level, that God knows our hearts as deeply as He knows our height, weight, and hair color, would we be tempted to open up with a fervor that drives us to the point of getting completely lost in Him? Would we lose all sense of time and space with abandoned hearts of prayer? Hannah’s life reminds us that God honors the uninhibited and faithful prayer warrior. In 2019, I want to become the child of God who, like Hannah, gets accused of drunkenness because my prayer time is so intense, radical, and purposeful. “How long will you go on being drunk? Put your wine away from you.” (1 Samuel 1:14, ESV). In this new year, let’s purpose to allow God’s intimate knowledge of our hopes, fears, and needs drive us into profoundly different seasons of prayer designed to impact the Kingdom. Hope in Christ Matters…Tell Others Why!